Here’s a scenario every leader faces from time to time: a top employee whose work is mission critical to your business comes to your office and announces his or her plan to leave. Not on vacation. Permanently. This person is a top performer whose departure would leave a significant hole in your business. What do you do? This scenario came to life for a client I was advising recently. His immediate plan was to sit down with this top performer, who managed a significant area of his business, and tell her how much he valued her, what a significant difference she was making through her work, how much he enjoyed working with her and how committed he was to find a way to keep her on the team. His plan involved emotional rehiring, but was it too little too late? Emotional rehiring is a simple but powerful form of positive feedback. It’s as simple as authentically telling a person why you’re thankful he or she is on your team. And it’s an instinctive reaction to a person who has itchy feet – or even worse, a specific plan for leaving. But those instances in which it comes most naturally to a leader are also the instances in which emotional rehiring has the least power. Why? Because the person has already emotionally disengaged from the leader and the organization to some extent. If you want to optimize the power of emotional rehiring, do it proactively. 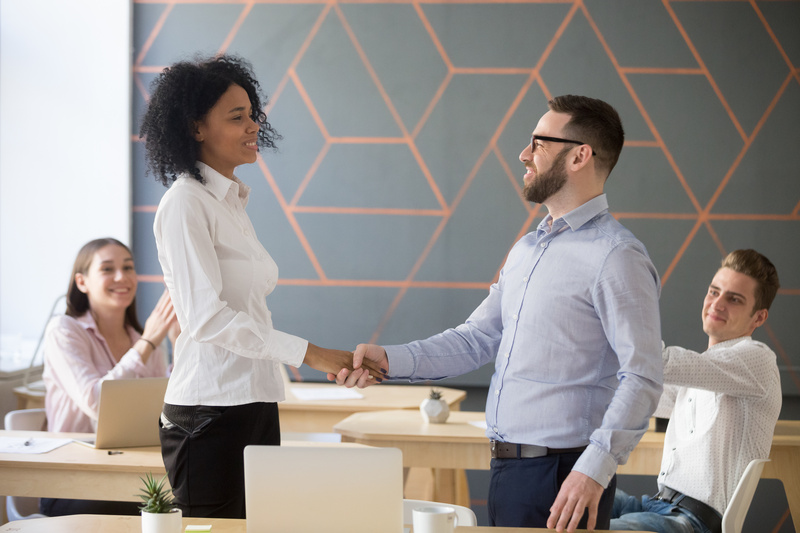 Emotional rehiring is magical when someone is not expecting it – when it feels like a spontaneous expression of that person’s importance, impact and irreplaceability. Congratulations on earning an important referral from our newest client. Spontaneous referrals are the highest form of praise. Your ability to listen, your sense of urgency and your unwavering dedication to delivering the highest quality are helping our business grow. I’m glad you’re here! Being proactive and consistent with emotional rehiring increases happiness, engagement and retention within your organization. Emotional rehiring keeps people emotionally connected to your organization and to you as a leader. Every time you emotionally rehire someone, they have an opportunity to re-up on their commitment to you because you’ve just re-upped on your commitment to them. One final point. You can use emotional rehiring in your personal life, too. Holidays, anniversaries and the beginning of a new year together are the perfect time to emotionally rehire your significant other.